The Best Contortion Blogs from thousands of Contortion blogs in our index using search and social metrics. We’ve carefully selected these websites because they are actively working to educate, inspire, and empower their readers with frequent updates and high-quality information. Also check out Contortionist Youtube Channels. San Francisco, CA About Blog Welcome to the Reddit page on Contortion. We've all seen those amazing bendy performers. Ever wanted to be one? Follow to keep up with the contortion community for info on training techniques. Facebook fans 1,188,220. Twitter followers 551,506. About Blog Follow to keep up with contortion, amazing contortionist, extreme contortionist gym, flexibility, workout, stretching, yoga, gymnastics, splits and a lot more. About Blog Get started with your contortion training with a large and growing resource for those starting out with their journey into flexibility. Contortionists Unite! helps those beginning their contortion training as well as those wishing to take their contortion skills further. About Blog I present to you my work of people with incredible flexibility. The channel features photos and video of models of gymnasts, rubber with incredible flexibility and stretching, they demonstrate their abilities in circus and gymnastic tricks. Nevada, USA About Blog I am a certified personal trainer, certified pole dance instructor, flexibility coach and contortionist from Milan, Italy. I moved to Miami, FL in 2006 to expand my knowledge in fitness and bodybuilding, my biggest passion at that time. I also started contortion training under the guidance of Mongolian top contortionist Otgo Waller. I currently live in Las Vegas, NV. Facebook fans 270,123. Twitter followers 121. About Blog Hi, I am Ceri Teasdale. I have hypermobile Ehlers Danlos Syndrome, a genetic connective tissue disorder. Commonly known as being ‘double jointed’, hypermobile joints led to the name of this blog – ‘A Reluctant Contortionist’. About Blog Sofie Dossi is Self-taught contortionist, hand balancer, aerialist. She is also 2016 America’s Got Talent Golden Buzzer Contestant & FINALIST. Facebook fans 126,349. Twitter followers 32,343. About Blog I made a dedication to learn the art of contortion late in life at 35, after having two kids, who are now 11 and 9. For me this will now be a lifestyle endeavor, to continue and find new things about my body. As I discover these things, I'll post them here in this blog. 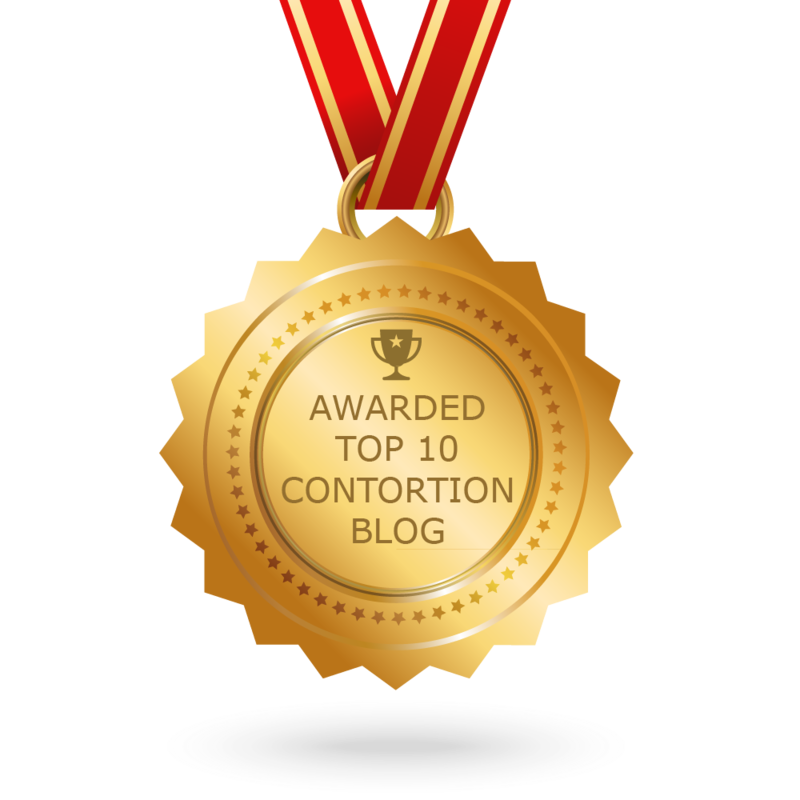 CONGRATULATIONS to every blogger that has made this Top Contortion Blogs list! This is the most comprehensive list of best Contortion blogs on the internet and I’m honoured to have you as part of this! I personally give you a high-five and want to thank you for your contribution to this world.